Positng will be every other day for the week of the 19th for I will be in areas of limited internet access. I will post our latest analysis of Greek's finances post (3rd) bailout, restructuring and default (this one is a doozy), along with a model for pro suscribers to run their own analysis. I will also post an Apple info model as well. I'm currently in Dubai and will report from here. Any subscribers in the Dubai/Abu Dhabi area should feel free to reach out for a meet and greet. What Happens If GLD Doesn't Have The Physical Gold To Back Its Investment Funds??? and the ability of GLD and related ETFs to actually print thier own money..
Trading Physical Gold As Easily As You Trade Stocks: Is Gold Becoming A Tradable Currency After All? Trading Physical Gold vs Investing In A Physical Gold Trust: Which Is Better? Trading Physical Gold: Is Gold In A Bubble? I'm in the field today, so I won't be posting articles, but I will be commenting in the comment section of this site and via Twitter. See the upper right had corner of the home page for the latest Tweets and the lower right hand margin for the latest comments. The problem is plain before you. Here is a situation transplanted through the criminal foolishness of those gifted and/or empowered with the productive assets created and cultivated by our fathers. Whether you like it or not this country constitutes hundreds of millions of the diverse plethora that is America. They are already here, and here they will remain. If you do not enable the mechanisms that allow them to lift themselves up (versus the socialistic path of trying to lift all up), they will simply pull you down. Access to (and not the socialistic gifting of) productive assets (wealth) and knowledge, combined with the teaching of individuals to build strength of character are the means to which accomplish this. Physical and/or mental labor (the staple of the working class) alone will not do it unless inspired by the right ideals and guided by intelligence and knowledge. Academic education alone will do little, for look at many of our brothers and sisters who are highly degreed, yet have a lower standard of living, lower general level of happiness and less inflation adjusted net wealth than their parents despite living in a age that fosters greater access to technology and resources. Successful education must not simply teach work, or instruct one on how to labor for the capitalist oligarchy — it must teach Life. The Truly Talented of this country who are not extant members of the oligarchy must be made leaders of thought and missionaries of culture. No others can (or will honestly) do this work. 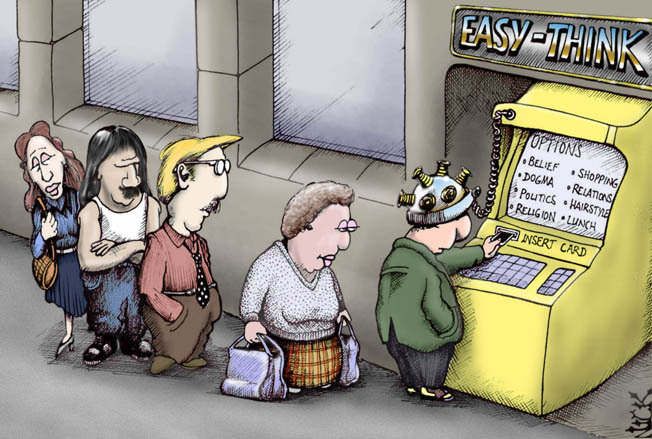 We must train agents for in the education system – for the existing oligarchy not only benefits from the teaching of labor/work as the embodiment of success, but cannot truly exist without such for it is cheap labor that enables the oligarchy to amass disproportionate wealth at the expense of the working class - literally profiting off of the backs of others. To be honest, this is the way of capitalism. It is understandable and acceptable, but only to the point to which those laborers willingly accept their position. Once it comes to the point of attempting to force said laborers into their laborious positions through duplicity and guile, we not only foster the misallocation of valuable American resources (human, social and economic) but we squander what could be sown and fostered to make America a better and more competitive country, thus putting the great empire at risk of collapse for the betterment of the very few. America, like all great establishments, was created, and is going to be saved by its exceptional heroes – or collapsed due to the lack thereof! What America needs now is a system of education that does not simply teach academics and create a slave army of rule followers. We need to teach rule breakers and rule makers. We need to teach charisma. This is how leaders are made, while a focus on pure academics is how followers are groomed. We have to teach our children about life, and the world around us. We need to teach them how the world actually works, and test these teachings in the real world regularly in order to “mark our curriculum to market”. In this fashion, if any of our teachings are false or too theoretical, their failings in the world marketplace will allow us to correct course before our students are ruined by a pile of irrelevant academia, or even worse – flat out erroneous information and false knowledge. Unfortunately, from pre-school to the higher echelons of ivory tower academia, I fear this is where we are right now - our students are being ruined by a pile of irrelevant academia, or even worse – flat out erroneous information and false knowledge. These precepts may appear somewhat applicable to children of all socio-economic stratification levels (social classes), though they are particularly endemic to those in the lower rungs, which prevents the social mobility that is needed to keep this country fresh, alive, vibrant and competitive. I envision an educational system that articulates a clear philosophy on the proper behavior of American children: "to teach them delicately a code of honor and action in their relation with other children and adults of different backgrounds; to turn their hurts and resentments into emulations, ambition and love of their own environments and companions; to point out the best amusements and joys and worth-while things of life; to inspire them to prepare for definite pursuits of wealth AND social accomplishment, not merely jobs, occupations, or careers, and to conduct these duties with a broad spirit of philanthropic sacrifice". I pray you, tell me, is this what you were taught in school? Is this what your children are being taught in school? Legacy building and the 100 Year Plan – the creation of immortality: perpetuating one’s family, family ideology, wealth, and knowledge through a minimum of 5 generations. Modern Politics and Power Structure – what is powerful, who is powerful, and why? How did they get their? How to replace them? Geo-political structures and power flows – What is the world, who’s in it, and where you stand in the grand scheme of things. In DuBois’ missive claiming that the advancement of Blacks depended on the training of exceptional men who would lead the masses, (academic) education was prioritized. I’m confident that he erred in this assessment, although in his time it appeared as if he came to a logical, if erroneous conclusion. DuBois assumed that (academic) education was the primary cause of wealth and power in the US. I have found this to be less than accurate. There is a link between education and socio-economic success, but that link is less defined and more tenuous than DuBois realized. If academic education (as was and currently is consumed by the masses) was the primary goal to pursue, it is painfully obvious today that it is but a tertiary goal. Wealth, followed by motivated class consciousness are the two goals that, if achieved will uplift those captured in the lower rungs of the socio-economic ladder of success. So, What is the Single Biggest Failing of Today’s Education System Curriculum??? This article assumes that parents send their children to school to better themselves through education. If that is truly the case, then please heed what follows. The Power Elite documented the social backgrounds and career trajectories of the people who occupied the highest posts in what the sociologist, C. Wright Mills saw as the institutional hubs of power in postwar America: the corporations, the executive branch of the federal government, and the military. While many of his contemporaries were busy singing the praises of pluralism in what they perceived to be a relatively classless society, Mills, less sanguine, dismissed as absurd the idea that there was no elite. Those who believed otherwise were uninformed or deluding themselves (and others) typically for self-serving reasons. Having confirmed the existence of a “ruling stratum,” Mills proceeded to describe the characteristics of the people involved in decisions of national consequence. He found the members of the power elite had strikingly similar social origins. They fruitfully used vast resources and insular social ties to move across the three institutional hierarchies in both formal and informal capacities (references to the alumni of the Great Vampire Squid are nigh impossible to avoid). Once again, the giant financial firm lives up to its reputation as “the vampire squid.” The Muckety database includes 697 once-removed connections from Goldman to other Fortune 1000 firms. 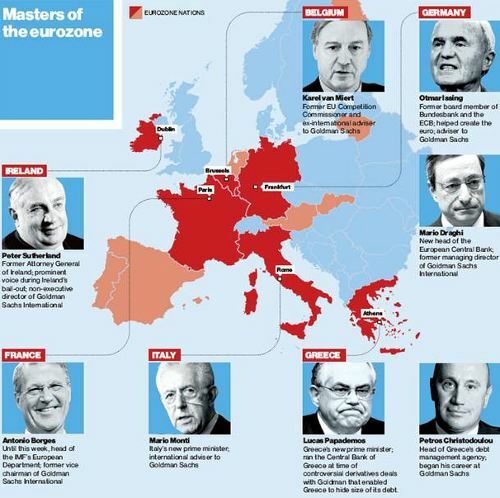 The map above shows links of Goldman Sachs directors. Click the graphic to access the Muckety DB. Simply put, the powerful can and do make use of their resources to set favorable terms by which to safeguard their position at the top. C. Wright Mills, The Power Elite (New York: Oxford University Press, 1956), 9. As a target for the definition of the Talented Tenth who are to be the true “new” educators of this country’s youth, I advocate a minimum of a higher “upper middle class” standing, ex. a score of 23 on Socialclass.org class model, available from www.socialclass.org. By definition, this transforms the Talented Tenth, in a mathematical sense, into something more like the Talented Three, due to the significantly increased rigor of the selection process resulting in the top three percent of society, in lieu of the top ten percent. It is very, very important to recognize the fact that this does not mean that only the wealthy can teach, for wealth is only one aspect of the socio-economic class structure, and there are many in the higher strata that are not necessarily wealthy, although there are none that are poor. It is actual accomplishment and influence that sets this strata apart. 1. Wealth – the pre-eminent factor, for in a capitalistic society, capital reigns supreme. Remember, what is being preached is far from materialism, and those who confuse the pursuit of capital as materialism are erring on the side of ignorance. I consistently remind my children what money is for. When you ask many people lower on the socio-economic ladder what money is for, you frequently get in response “to buy things”. This mentality and belief leads to a circular situation wherein the lack of understanding of the nature of money leads to an inherent lack of it. Capital in its purest essence - or to put it more simply, money - is used as a proxy for labor. As a result, the more capital that you have, the less you have to toil in your own labor. Once you have reached the point of equilibrium where your capital is equivalent to your labor, you no longer have to work to retain your current standard of living. All capital above this point of equilibrium can then be used to purchase the labor (hence the livelihoods) of others. The more capital you have, the more control you have over your own destiny, and then over the destiny of others. Capital is defined as property, eg. Cash, income producing assets (bonds, businesses, rental properties, mortgage notes, royalty generating intellectual property, etc. ), appreciating assets (eg. Stocks, real estate, businesses, readily tradable antiquities, etc. ), and to a much lesser extent in terms of value, depreciating assets (cars, jewelry, clothing, etc.). Wealth is defined as total assets (capital) minus all liabilities (debts and obligations). With these explicit definitions, we can now see the pursuit of wealth not as a material pursuit, but as a means of gaining control over the economy (notice I stated “the” economy not “our” economy), the political system, the social structure of the country and the futures of ourselves, our children, and others. 2. Income – provides the liquidity needed for day-to-day operations as well as long term planning. Income is often quoted as the primary determinant of class and is often mistaken as a proxy for wealth. This is patently false, for one can have high income and very little wealth, and this situation very, very prevalent. High income equates to social prestige, but is not nearly as accurate a determinate of power, influence or socio-economic standing as wealth is. 3. Income source – where income is derived dictates the autonomy, independence and reliability of that income. For instance, income derived from a salaried job is less secure and desirable (you can always get fired from your job, or become incapacitated due to illness) than income derived from one’s own business which is less secure and desirable (you ca become incapacitated due to illness in smaller companies, where the markets can move against you in larger businesses) then income from a broadly diversified portfolio of investments (which could easily include your own business) since it is virtually impossible to get fired, suffer financial distress from incapacitation, or have an adverse move in markets significantly damage your financial standing. 4. Occupation – while less important from an economic perspective, this factor is significant in the social purview. What you do often transcends how much you make or even how much you have in many social circles. For instance, a untenured college professor can easily make less then a prison corrections officer that works overtime, yet the college professor is deemed to be of higher social standing, even if he rents subsidized housing from his school/employer (aka social welfare, popularly thought to be only the province of the lower classes) while the corrections officer can not only own his own residence in the same neighborhood, but also own the one next to it for investment income. 5. Education – Academic education has traditionally been seen as the key to success in many circles. I have come to the conclusion that it is far from the key to ultimate success, but it is an important, if not necessary, component. This issue boils down to cause and effect. It is obvious that many successful people are well educated, but is that because successful families get educations or educations lead to successful families. Regardless of the chronological linkage of the occurrences, highly educated individuals are viewed with more prestige then lower educated individuals, and this prestige leads to a higher social standing. There is also significant evidence that academic education does have a connection to improved economic standing as well, but it is much more complex than popular opinion would have many to believe. 6. Dwelling area – basically, you are where you live. Very few powerful or wealthy people live in the ghetto unless their power is solely or derived from the economic underground (eg. Drugs, prostitution, etc.) that is forced to fly under the radar of mainstream social circles, which by default forces them into the lower classes. Conversely, very few powerless poor people live in the Gold Coast areas unless they are there as live in domestic help. People of like means tend to cluster together, so dwelling area has a high correlation to class. 7. Housing – highly correlated to class due to the fact that home ownership is a class marker. So is the value and size of the home. Most of those on the very low end of the SES scale do not own their own homes, while most on the very high end tend to own several homes. Class consciousness (affiliations) – The ability to actually know where you stand and influence others in the group that you stand is a class marker, as well as the ability to know where others stand in relation to your standing and influence. Your affiliations help label your class strata. For instance, being a leader of local PTA, and being aware of that positions influence puts you in a higher standing than no group membership or just belonging to the local bowling team. The same goes to membership to a Fortune 500 or multinational not-for-profit board as compared to PTA membership. The more you know about class and class affiliation, chances are the higher you will be in the class standing. for those in the upper strata, but can also be used by those in the lower, middle and lower upper strata to rise upward a notch or even two. Social Mobility is the name of the game in times of severe dislocation - times like we are experiencing now. <-- 20% to 30% ofBoomBustBloggers are here, roughly 1,000 of you! Now, in term of wealth (not social class and influence, just wealth) we can split the upper strata into three different categories (there are only two above because of the other factors that come into play when social class or socioeconomic standing is taken into consideration). There is the poor wealthy, those guys and girls that are just a hair's breath from being pulled into the upper middle class strata due to marginal wealth. This would be the $1m to $10m net worth crowd, who rely on business profits, salary and investment returns for income. The next would be the middle strata of the wealthy, hailing between $10 to $100 million in Net Worth, and then there is the upper strata wealthy at above $100 million. Each of these three strata of wealth represent, in my opinion, distinct behavior tranches in terms of discretionary expenditures, investment, and politics and (what passes as, this is a story for another post) philanthropic activities. The dark purples, deep greens and reds are most likely the general demographic to get hit hardest. The problem of training today’s student is materially complicated by the fact that the whole question of the efficiency and appropriateness of our present systems of formal and academic education, for any kind of child, is a matter of active debate, in which final settlement seems still far off. Consequently it often happens that persons arguing for or against certain systems of education have these controversies in mind and miss the real question at issue. The main question, so far as the American student is concerned, is: What, under the present circumstance, must a system of education do in order to raise the young man/woman as quickly as possible up the rungs of the socio-economic ladder in order for him/her to compete as rigorously as possible for that prize which is at the top? The answer to this question seems to me clear: It must strengthen the privileged’s character, increase their knowledge and teach them to acquire the assets of power, production and influence. It is paramount that the aforementioned struggle take place, for without it (which is the situation that we currently face), those who hold the mantle easily become complacent and eventually lose said mantle to other nations who are hungry enough and competitive enough to allow the diverse juices within their own populaces to be set free. This is the REAL reason to fear China, et. al.! Now it goes without saying that it is hard to do all these things simultaneously or suddenly and that at the same time it will not do to give all the attention to one and neglect the others. We could give our young boys and girls the ideals, knowledge, and mindset to motivate them to acquire economic assets through entrepreneurship and the established corporate environment, but will that alone provide the socio-political influence necessary to counteract the pervasive subset of classism that is currently trapping immense stores of human capital, talent and creativity under the mantle of a globally unproductive oligarchic labor mill? Said labor mill mentality is being taught as core curriculum in our school systems and appears by design to prevent out boys and girls from capturing the helm of capitalism which is the ownership of valuable property? We might simply increase their knowledge of the world, but this would not necessarily make them wish to use this knowledge to the betterment of their selves and families in lieu of the betterment of their socio-economic class masters. We might seek to strengthen character and purpose, but to what end if the people have nothing to eat or to wear or be without the means to aggregate and exploit? A system of education is not one thing, nor does it have a single definite object, nor is it a mere matter of schools. Education is that whole system of human training within and without the school house walls, which molds and develops leaders – not followers. The indoctrination of followers is actually the antithesis of education. It is the brainwashing, the encoding of a semi-caste system of servitude that does not need to be forced upon children for said children’s parents/caregivers/advisors actively seek out this programming designed to make others socio-economically successful upon the backs of proletariat labor as having finally arrived!!! If then we start out to train an ignorant and unskilled people with a reflexively reinforcing cycle of self-limiting or self-destructive habits, our system of training must set before itself two great aims — the one dealing with motivational and inspirational character, the other part seeking to give the child the technical knowledge necessary for him to acquire and manipulate financial and social capital under the present circumstances. These objects are accomplished in part by the opening the minds of the common schools to the precepts of socio-economic status, its true meaning and how to manipulate it to one’s own benefit. We must create productive asset gatherers, not workers. This is true, especially for those who are trained to teach these schools — men and women of knowledge and culture and technical skill who understand modern civilization, but most importantly Men and Women of Accomplishment, for only accomplishment can assuredly attest to the training and aptitude to impart accomplishment to the children under them. There must be teachers, and teachers of teachers; but to attempt to establish any sort of a system of common and industrial school training, without first (and I say first advisedly) providing for the higher training of the very best teachers, is simply throwing your efforts to the winds. School houses do not teach themselves - piles of brick and mortar and machinery do not send out leaders. It is the trained, living human soul, cultivated and strengthened by long study and thought, that breathes the real breath of life into boys and girls and makes them human, whether they be Black or white, Greek, Russian, African or American, Jewish, Sikh, Buddhist, Christian or Muslim. Hence, out of one of the most heterogeneous pools of human capital in the world, a small homogeneous sliver of living Groupthink perpetuates the status quo, not only failing to benefit from, but actually squelching the vibrant, diverse, adaptive and evolutionary energy that springs forth from heterogeneity. This is done not for the betterment of society, but to protect the extant oligarchy. This my friends, is the antithesis of the raw tenets of capitalism, which is in my uneducated opinion an economic extension of Charles Darwins "survival of the fittest" theory. When the same children who are taught the same things from the same schools ran by the same professors graduate to the same jobs from which they use the same techniques gleaned from the same life experiences often gathered from the same families to face the same problems.... Then GroupThink rules the day. The problem is.... What happens when the new problems are not the same. Fast forward to 2008 - 2012, the US credit and housing crisis as well as the Pan-European sovereign debt crisis. Now you know how we got into this mess, and now you know why it will be so difficult for us to get out of it. No, it was not a failure of capitalism, but a failure to allow capitalism in its truest forms!!! I have three children - ages 5, 11, and 19 (make that one child and two young men), hence I have been through all facets of the school system in NYC, both public and private. My kids have went from the most diverse school in the country (72 languages spoken) where the average family is poor enough to enable the entire school to receive free lunch, to the best school in the entire country (as indicated by the Wall Street Journal- reference "The Price of Admission", and click here to learn more about this school). After paying 3 times what I paid for college for my eldest to attend high school (all in after tax dollars) decided to take matters into my own hands at the aforementioned public school with the extreme diversity and low average family income. I obtained permission to teach my own "enrichment class" as an adjunct to what the school taught (which as how to pass city and state academic tests - may I add that I have never heard of anyone getting paid to pass these tests! ), and hired my own staff to assist in doing so. My son was in first grade when this started (I actually skipped over kindergarten to increase the challenge), and I purposely avoided hiring "professional teachers". At first, I personally taught science and finance to the class - which encompassed earth science, biology, zoology, animal husbandry, math , entrepreneurial studies, dramatic reading/speech and social studies (socio-economic stratification - the subject of this article). I then managed to hire a thespian for English/language arts, an Australian mathematician to tutor in math, and a PhD in neuroscience to head up biology. These hires took the pressure off of me and allowed me to focus on my core competencies/interest - dramatic presentation, finance and entrepreneurial studies. Due to my willingness to dip into a very diverse pool of potential and lift up whatever it was that was both willing and capable to come with me, I led a bunch of 1st grades to learn (and I mean enthusiastically learn) high school curriculum! That's right! You heard correctly, these were 1st graders in a NYC public school that had free lunch. The class size was limited to 5 members, who were picked by the teacher as being able to benefit most from the enrichment (code word for not getting anything out of the NYC school's curriculum - which described(s) all of my children). The same teacher also had about 5 students removed for ESL (English as a 2nd language) and a few removed for behavioral issues, and by and of the day she had a very manageable class size of about 15 or so kids - and more importantly, these kids had a homogeneous skill set, meaning that they could all be taught a single lesson in unison. The result of this intellectual experiment was interesting. The kids WANTED to attend class and some would actually cry when they couldn't make it. The first grades dissected sheep brains, cow eyes, built a REAL human skeleton (and memorized every single bone by its scientific name - a feat I dare any adult reading this to try) and read and wrote at a level that was literally multiples of the city standard. The kids started their own for profit business selling fresh, organic berry juice (an actually made money) - delegating sales staff, bookeepers and preparers - all according to the kids natural abilities. I then made them swap roles ot get an appreciation for developing other talents and overcoming their inner fears. You would be surprised at how many kids have a fear of speaking to strangers, asking for what they want, or being responsible for counting and keeping money. The dramatic reading created a true love for reading, writing and public speaking! We read comic books (Marvel, Image and DC) and Dr. Suess (ex. Green and Ham) and the students and I literally brought the house down - You know, the On Broadway-style William Shatner used when he channeled James T. Kirk in the original Star Trek series???!!! The science class dissections actually caused parents to take off from work, and teacher and admin to come in on their lunch breaks to take notes, observe and learn during our large mammal dissections. That's right, teachers, parents and admin actually took time off to come back to the first grade they never had. Eventually, the principal bitched and complained because she felt the program was becoming too successful and the kids were learning too much outside of the city's core curriculum - in other words they were learning how to be successful instead of learning to a) slave for someone else or b) perpetuate the groupthink of the status quo oligarchs until said groupthink can no longer support the current oligarchical regime and the whole thing comes tumbling down (this was 2007, fastforward to 2012 and this is where we are now). I have interviewed all of the top public and private schools in the city and many on Long Island. I think I can say I know my way around the block here. Are Colleges and Universities Any Better? This will be a light day with no blog posts throughout the day, but I will be active on Twitter discussing the topics of the week and new subscriber research to be released next week after Christmas, including valuations of the insurance industry short candidate. Please view the upper right hand corner of this site for my latest Tweets, or see my Twitter account via this link . About 48 hours ago, I was part and parcel to a documentary on rating agencies and their effectiveness (or lack thereof) in ascertaining risk in investment opportunities on a timely basis. IT was an interesting interview in my (see pic of the perpetually smiling pundit in his office, to the left) about an interesting topic that was heavy in the headlines during the subprime debacle days, but a slap on the wrist from congress and a couple of years of disinformation does wonders for the American short term memory. Of course, the Europeans may still be a little salty, but likely for the wrong reasons. After all, EU officials actually believe the rating agencies are being too tough on the faux sovereign states of the want to be union. The fact of the matter is that rating agencies are STILL moving in slow motion and using kids gloves, as was articulated in the piece Where Are The Ratings Agencies Before UK & German Banks Go Boom? How About Those Euro REITs? Agencies Anybody? In said piece, I included excerpts from the presentation given to a large banking audience in Amsterdam that literally proved to be a template of rating agency downgrades and negative watches - just 7 to 12 months in advance! Pray tell, how can a small time entrepreneurial investor and blogger consistently outrun ALL THREE of the rating agencies and virtually of sell side Wall Street over a period of nearly 5 years? Reference Did Reggie Middleton, a Blogger at BoomBustBlog, Best Wall Streets Best of the Best? BNP Paribas SA (BNP), Societe Generale SA and Credit Agricole SA (ACA) had their credit ratings cut by Moody’s Investors Service, which cited funding constraints and deteriorating economic conditions amid Europe’s debt crisis. Moody’s cut the long-term debt ratings for BNP Paribas and Credit Agricole by one level to Aa3, the fourth-highest investment grade. Societe Generale’s rating was cut to A1, the fifth highest. Moody’s also cut the standalone assessments of financial strength of the three banks, while saying there’s a “very high” chance they will get state support if needed. The banks’ woes put at risk France’s AAA rating. Standard & Poor’s warned this week that the country’s top credit rating risks being downgraded, citing banks’ funding constraints among the reasons. French banks have been forced to borrow from the European Central Bank as their access to U.S. money-market funds has dried up on concerns about their holdings of European debt. “The stress comes from the closing of the dollar taps, which constitute a part of the banks’ needs,” said Francois Chaulet, who helps manage 250 million euros ($333 million) at Montsegur Finance and owns the three banks’ shares. At $681 billion as of June, French banks have the highest holdings of public and private debt in the five crisis-hit countries of Greece, Ireland, Italy, Spain and Portugal, according to data from the Bank for International Settlements. I also made the effort that the rating agencies are trying to drive home, that France itself is very susceptible to contagion through its banks. There go those agencies again, running up to a smoldering pile of ashes with a fire hose to spray profusely yet wondering why they couldn't save the house! In case the hint was strong enough, I explicitly state that although the sell side and the media are looking at Greece sparking Italy, it is France and french banks in particular that risk bringing the Franco-Italia make-believe capitalism session, aka the French leveraged Italian sector of the Euro Ponzi scheme down, on its head. See also The Fuel Behind Institutional “Runs on the Bank” Burns Through Europe, Lehman-Style! I then provided a deep dive of the French bank we feel is most at risk. Let it be known that every banke remotely referenced by this research has been halved (at a mininal) in share price! BNP Paribas doesn’t need new capital, spokeswoman Carine Lauru reiterated. Societe Generale (GLE) said it was “surprised” by the Moody’s decision, adding that it was “confident” it can meet regulatory capital goals through its own means. Credit Agricole spokesman Denis Marquet declined to comment. BNP Paribas, France’s biggest bank, slid as much as 4.9 percent before rebounding 2.7 percent to 31.95 euros as of 3:03 a.m. in Paris. Societe Generale, the No. 2 bank, fell as much as 4.9 percent and was trading 1.5 percent lower at 18.84 euros. Credit Agricole, which tumbled as much as 4.5 percent, was up 3.1 percent to 4.75 euros. Before today, BNP Paribas had fallen 35 percent this year, Societe Generale 53 percent and Credit Agricole 52 percent. That compares with a 33 percent drop in the 46-company Bloomberg Europe Banks and Financial Services Index. ... The European Banking Authority said yesterday that France’s four largest lenders have a 7.3 billion-euro shortfall in capital, less than its 8.8 billion-euro estimate in October. The new capital is needed to reach a 9 percent core Tier 1 capital ratio by mid-2012, after marking their sovereign bonds to market, it said. ...The Moody’s downgrade today follows reviews the ratings company began in June and extended in September, when it cut the long-term credit ratings of Credit Agricole and Societe Generale while leaving BNP Paribas unchanged. Standard & Poor’s placed ratings of European banks, including BNP Paribas, Societe Generale, Groupe BPCE and Credit Agricole, on watch Dec. 7 for a possible downgrade amid a similar review of 15 countries in the region. French banks’ liquidity woes have intensified as their U.S money-market fund access has dried up. The eight largest prime U.S. money-market mutual funds cut holdings in French banks by 68 percent in November, shifting investments to Swiss, Swedish, Canadian and Japanese banks. French bank holdings declined by $11.7 billion to $5.56 billion, according to an analysis of fund disclosures by the Bloomberg Risk newsletter. The eight funds have reduced French bank debt by $76.8 billion in the past 12 months. The decline in short-term lending by U.S. funds has forced French banks to increase their borrowing from ECB more than four-fold over the last four months. Post Note: BNP management is now shopping around for capital investment. Management is lying being less than forthcoming with the valuation of toxic assets on its books. BNP has employed the proven self destructive financing methodology of borrow short, invest in depreciating assets long! BNP management lying being less than forthcoming about reliance on said funding maturity mismatch, despite the fact it handily dispatched Bear Stearns and Lehman Brothers in less than a weekend! What makes the rating agency moves, and the fact that the MSM carries it so much more fervently than my own more timely, relevant and useful research, is that explained this in detail to bankers and investors in Amsterdam in April - yes, months even further in advance. And if that is not enough of an advanced warning, there are my proclamations from the spring of 2010 - a year and a half ago via the Pan-European sovereign debt crisis series. As you can see from the many links below, any prudent investor or entity who has an economic interest in the outcome of the events of the quasi-sovereign nations of Europe, the banks domiciled within them, or the entities that do business with them, is literally out of his/her damn mind if they subscribe to the rating agencies opinion in lieu of, or even ahead of that of BoomBustBlog proprietary research. That's right, I said it, and dare... No Double Dare, anyone to prove otherwise. As excerpted from the link above, relevant articles posted since January of 2010. Italy’s Woes Spell ‘Nightmare for BNP - Just As I Predicted But Everybody Is Missing The Point!!! ZeroHedge Is Good In Uncovering BS, But I Will Not Be Outdone In Busting BS Bank Reporting - I Simply Refuse, Right BNP? Focus on Greece? No! How About Italy? No! It's About Baguettes, Mes Amis! When French bankers gorge on roasting PIIGS - OR - Can You Fool Everybody All Of The Time? Where Are The Ratings Agencies Before UK & German Banks Go Boom? How About Those Euro REITs? Agencies Anybody? Unfortunately, BoomBustBlog went down for roughly 12 hours last night due to a snafu in improvements we are making to our back end to eliminate performance and back end issues. We are working hard to rewrite the site and expect to have a new, faster, more reliable BoomBustBlog shortly. No lines outside BNP Paribas. But then it is still lunch time. No self-respecting French person would neglect dessert course. Here is @ReggieMiddleton on a French bank run on 12 September boombustblog.com/BoomBustBlog/A… Post provides links back to even earlier warnings. Today's episode of the Keiser Report features interview with @ReggieMiddleton talking about a run on French banks. Should be on youtbe soon. @ReggieMiddleton warned you first! read.bi/oRSDwd EL-ERIAN WARNS: "These Are All The Signs Of An Institutional Run On French Banks"
Posted on September 18, 2011 -Stacy Summary: We’re interviewing Reggie Middleton this week for the Keiser Report. In particular, we’ll be talking about French banks. Check out his “Run on the Bank” model for BNP Paribas. Questions for Reggie in the comments thread below. BoomBustBlog has just upgraded to a monster server that should easily support the traffic spikes that we have been experiencing in order for us to deliver a smoother, more reliable service to our readers and paid subscribers. Once again, we would like to thank you for your readership, patronage and loyalty. Reggie Middleton and the BoomBustBlog team.